Blood Sugar Count Over 1000: What Happens to the Body? A blood sugar count over 1000 is way beyond healthy, normal levels, even for a diabetic. 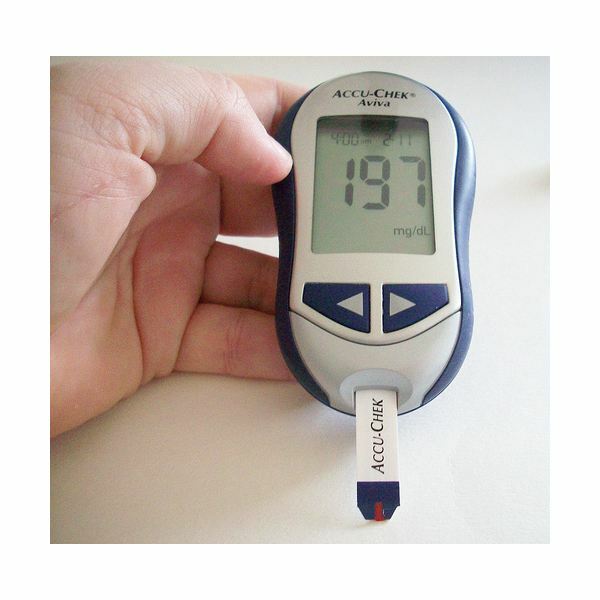 Normal blood glucose levels are within a range of 70 to 100. A consistent reading over 125 may be indicative of diabetes. Levels as high as 200 to 500, let alone 1000, can pose a serious risk to the body. A blood sugar count shows the level of glucose in the blood. It is important to try and keep levels as normal as possible, especially for diabetics. They will naturally increase after eating as carbohydrates are broken down and glucose is made available as a source of energy. Other factors such as severe stress, the use of corticosteroids or other medications, a heart attack or stroke can all cause a spike in blood glucose as well. What happens if your blood sugar is over 1000 mg/dL? Why is this dangerous? The body cannot sustain blood glucose levels of 1000 or anywhere close to this amount. Long-term levels of 200 to 300 or even lower cause damage to blood vessels, nerves, kidneys and eyes, greatly increasing the risk of cardiovascular disease and serious kidney problems. If these symptoms occur seek medical attention right away. They will probably develop over a period of weeks. Check your blood sugar levels if possible. If vomiting starts or symptoms worsen, get to a hospital right away. One major cause of a diabetic coma is diabetic ketoacidosis, which can also lead to death if untreated. Diabetic ketoacidosis occurs when insulin levels are so low that the body burns its own fat as fuel. Ketones are a natural byproduct of the breakdown of fat. Excess ketones cause the body to become dangerously acidic, leading to symptoms such as nausea, sweet breath, confusion and trouble breathing, which can lead to a coma and death. Ketoacidosis is most common with type 1 diabetics, although it is possible for it to happen to a type 2 diabetic. People who have type 2 diabetes also have to be aware of hyperosmolar syndrome, which occurs at blood sugar levels of 600 mg/dL. It is more common amongst older people who are more prone to dehydration, and to diabetics who are taking steroid medications. In this case very high blood sugar thickens the blood. As a reaction the body filters out the excess sugar though the urine, leading to the release of a lot of fluids. Symptoms of hyperosmolar syndrome include vision changes, dry mouth, fever, increased urination, warm skin but no sweating, weakness on one side of the body, confusion and tiredness. It can also lead to a coma and death if not treated. All of these instances are medical emergencies. Contact medical help immediately if your blood sugar levels spike or if these symptoms occur. Keep in mind that not everyone that has diabetes has been diagnosed — it is still possible to reach dangerous blood sugar levels even if you do not consider yourself a diabetic. When levels reach 600 or more what is the method of treatment? Immediately contact emergency medical care and get to a hospital. Do not try to deal with extremely high blood glucose levels on your own. In the hospital a doctor will likely use intravenous fluids to bring the person out of danger. Insulin may be used to help with glucose absorption; potassium, sodium or phosphate may be used as well to assist cellular functioning. A blood sugar count over 1000 is dangerous, potentially deadly and very serious. People with a history of blood glucose problems are of course at risk, but people who are undiagnosed may experience symptoms and reach dangerous levels as well. Take care of your health and work with your doctor to maintain and monitor your blood sugar.